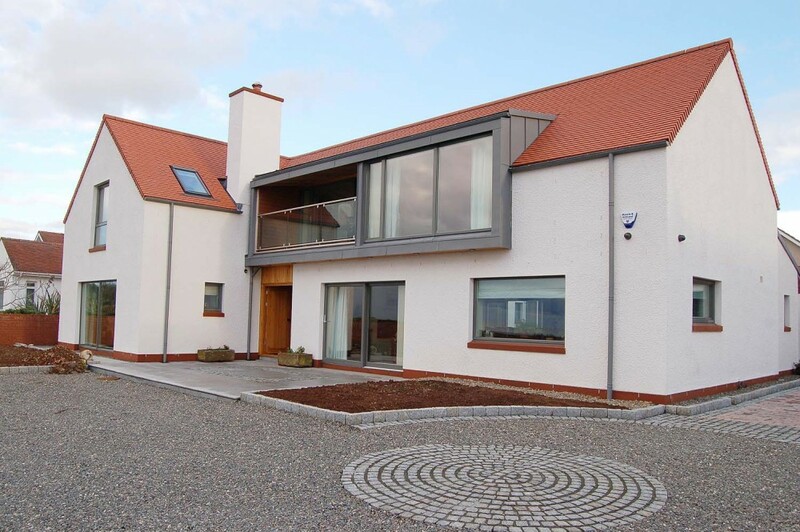 The house replaces an existing one and a half storey house overlooking the beach at Maidens with a spectacular view across to the Isle of Arran. 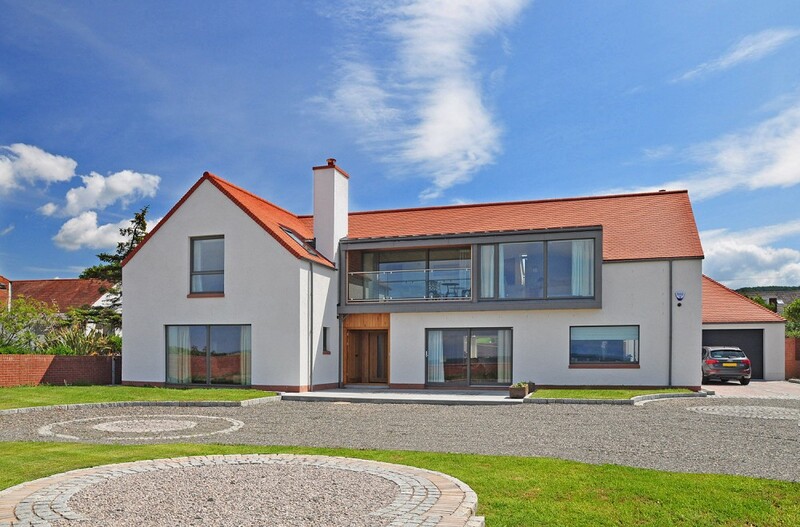 The design reflects, in contemporary form and materials, the style and character of the Arts & Crafts properties typically found in Troon and Turnberry, and matches the scale of the neighbouring houses. 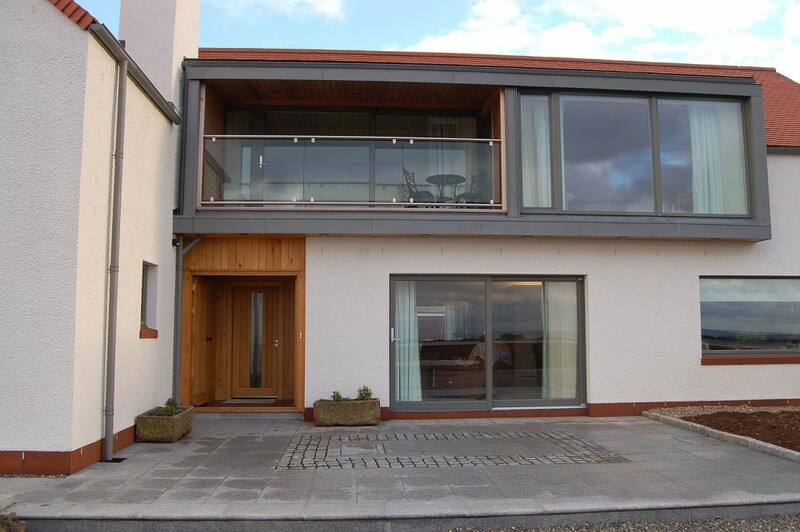 The main living space enjoys views of the sea and a sunny aspect onto the sheltered courtyard at the rear. 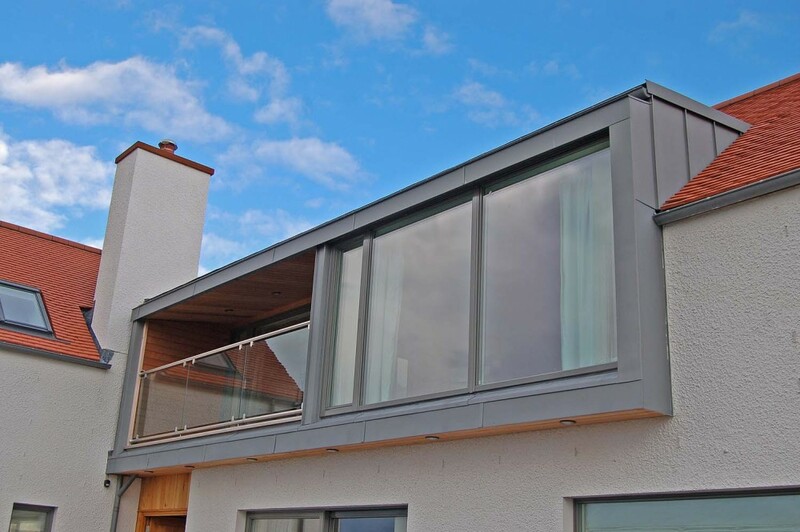 A second glazed balcony at first floor gives views of Arran and the sun setting across the water. 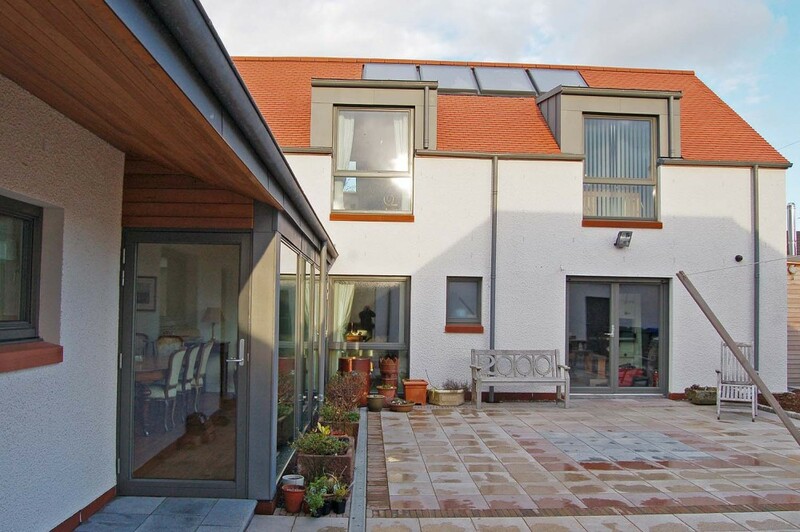 The house is very highly insulated and is heated by a wood pellet boiler with underfloor heating and a whole house heat recovery ventilation system.